The all-weather capability of radar sensors is an important argument for many driver assistant systems. Measurement accuracy and resolution depend on the radar sensor and the used waveform. 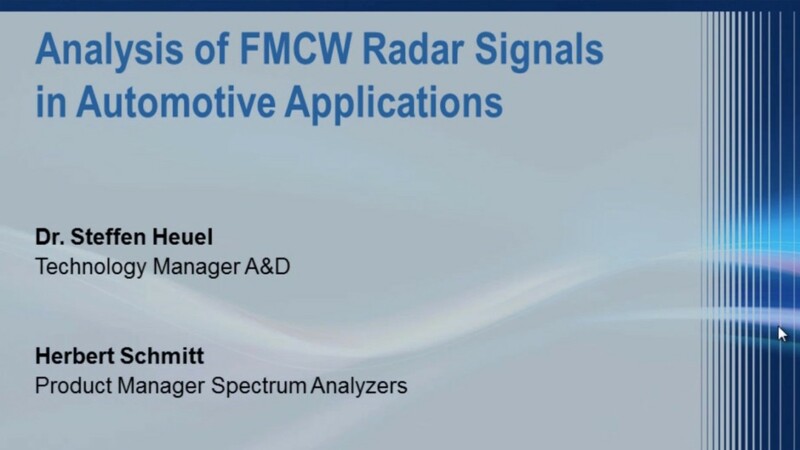 Automotive radars often apply continuous wave signals of high bandwidth in combination with digital beamforming techniques to measure range, radial velocity and azimuth angle unambiguously and in multitarget situations. These high-performance sensors and the high reliability demanded in the automotive industry require reliable and fast test solutions.